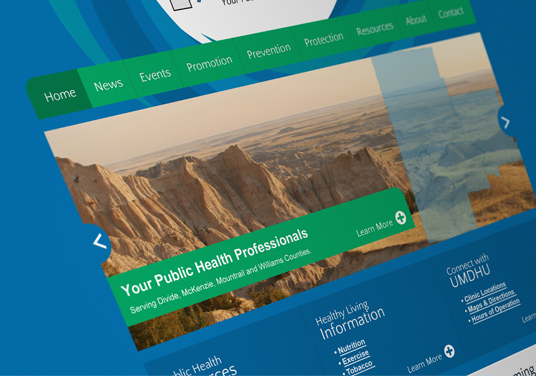 The regional health unit of western North Dakota contacted us to help them update their website. 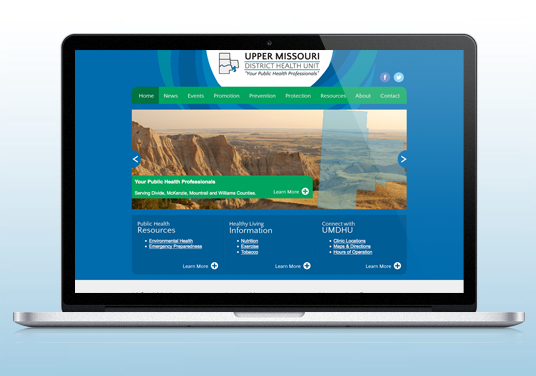 Along with upgrading their content management system, UMDHU wanted a professional look for their site that was user friendly so visitors could find all the information they need regarding their health services. We started with their corporate blue color and created a minimalistic, flat design that radiates a happy, service and family oriented feel. 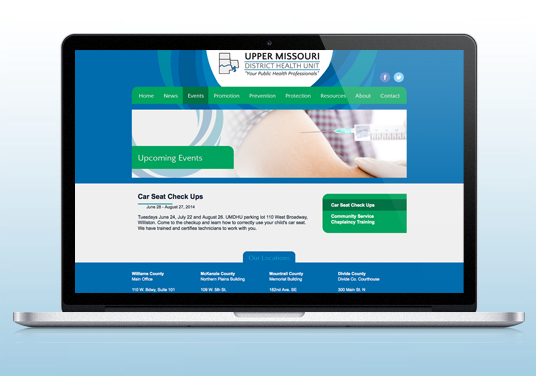 The site allows employees to add news, events and features into the main image rotation.